Price listed is for each torch. 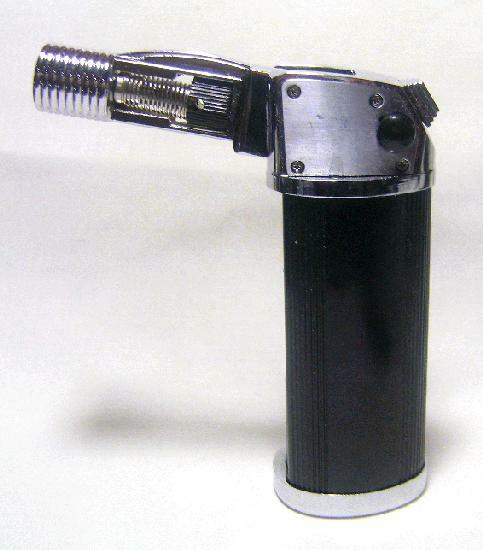 This nice little torch comes in a hard leather-look case lined with an imitation suede cloth. 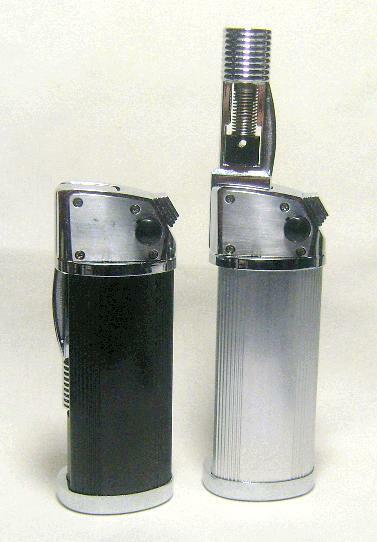 These torches measure about 4 1/2'' tall by about 1 1/2'' wide. 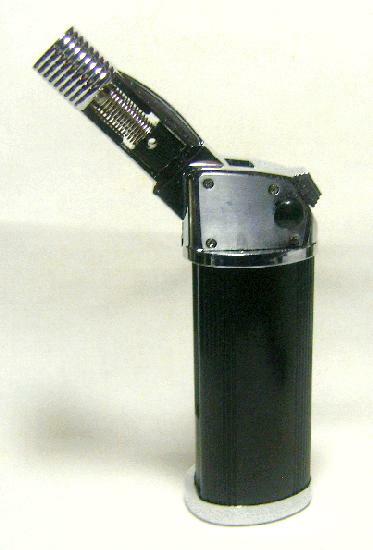 The torch portion is on a swivel. As you can see in the first pictures it can go straight out to the side, up at an angle or straight up. They have a locking mechanism so you don't have to keep the button held down. These come in black or silver. You can request a color if you like. However, there is no guarantee. These will be shipped without butane. We have to drain them to legally ship them. You can purchase butane to refill these at most stores.